New research out of the Prevention Innovations Research Center at the University of New Hampshire finds bystander intervention video games have a significant impact on bystander efficacy and attitudes. In the study, male students had the greatest positive impact on attitudes and bystander efficacy after completing the video games. By meeting students where they’re at, these video games increase bystander intervention confidence in a more private setting than in typical workshop formats. Students can explore and refine their bystander skills without fear of messing up in front of their peers. Part of the game’s success comes from integrating domestic violence, dating violence, stalking, and sexual assault with more broad campus material and resources, so as not to stand out or for students to lose interest. The research and development team also included nine students of various backgrounds to inform the process. The prevention materials from the game are from Bringing in the Bystander and the Know Your Power social marketing campaign, both also from UNH’s Prevention Innovations Research Center. This study highlights how engaging audiences in interactive ways can enhance our sexual and domestic violence prevention efforts. Creating opportunities for learning prevention on multiple platforms gives us a wider reach of potential active bystanders and allies, and fills in one piece of the puzzle to end sexual and domestic violence. With the hectic lives students lead, giving them a prevention training option they can do on their own time and in the comfort of their own home gives us another access point to integrate prevention into everyone’s daily lives. 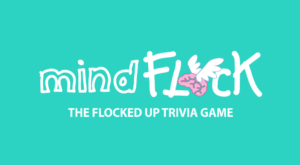 To learn more about the bystander intervention video games, Mindflock and Ship Happens, read the news article here, or access the research study here.